India is ranked as the fifth most attractive destination for future real estate investments, according to a latest report of FCCI and Ernst and Young. "India ranks fifth on the overall index, as it scores better on the country economy development index and the real estate market index, but fairly low on the regulatory index," the report released here said. 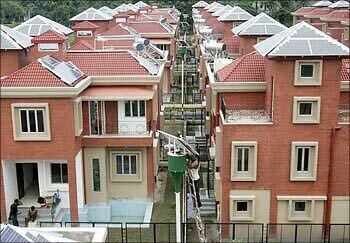 As per the report, there is no single clearance system for approval of investment in real estate sector in India. "In addition, the approval system is not time-bound and take up to two years," it said. Currently, India allows up to 100 per cent FDI through the automatic route for townships, housing, built-up infrastructure and projects like commercial premises, hotels, resorts, hospitals, etc. 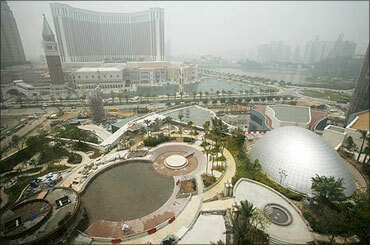 In the list of top nine attractive destinations for real estate investments, China is number 1. On China, the study said: "Even amid cautious market sentiments and tightening of government policy, China remains attractive as an investment destination primarily due to its impressive economic growth record and favourable demographics." However, India has the potential to even overtake the Chinese attractiveness, "if government allows real estate investment trust (REIT) and real estate mutual funds (REMF)," said Dean Hodcroft, E&Y's head of real estate for India, Europe, Middle East and Africa. The United States is the second most attractive destination for future real estate investments. Globally, REITs and REMFs have contributed significantly to the real estate finance and developers overseas have capitalised on the growth potential of the sector, the report said. "However, this source of finance has not seen a similar response in India primarily due to policy issues and lack of clarity on government's intention to promote such alternative source of funding," it noted. 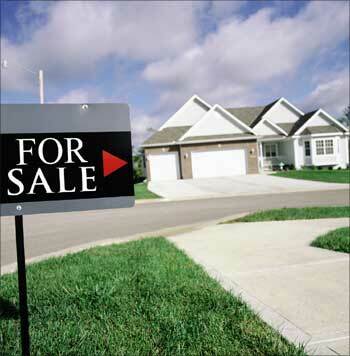 Image: The recession has hurt the USA real estate market. 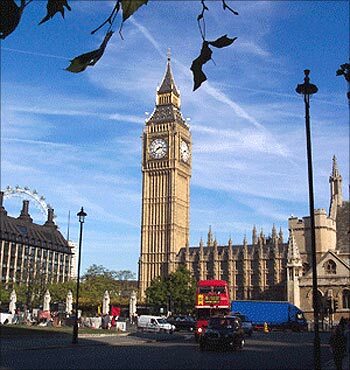 The United Kingdom is the third most attractive destination for future real estate investments. Hodcroft observed that while global investors are wary of investing in China as they are concerned that Beijing can change the policy anytime, New Delhi should strive to make regulations more investment-friendly. "India has a strong macro economic story which needs to be supported by some regulatory changes like availability of liquid vehicle for investment such REMFs and REITs," he added. Hodcroft said as much as $200 billion private equity fund is waiting to be invested globally and India has a chance to get more than its fair share. 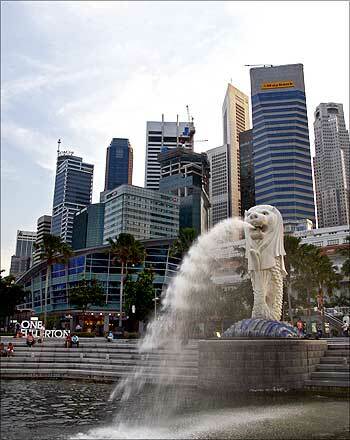 Singapore is the fourth most attractive spot for real estate investments, the study says. The study notes that an overview of all the geographies showcased reveal certain common threads. The strongest markets appear to be those in which controls have curbed excessive lending, speculative buying and instability. Controlled markets such as India and China have resisted severe downturns, while lenient markets continue their struggle to maintain stability. The study also called for the creation of a regulatory body for real estate, grant of infrastructure status to housing, liberal policies with regards to real estate MFs and investment trusts, modification in FDI norms for early exit and affordable housing and streamlining of the approval process for housing and real estate projects. Germany (6th), the United Arab Emirates (7th), Brazil (8th) and Russia (9th) make up the top nine nations for real estate investments in the world.. Meanwhile, Indian realty firms and property consultants said that both consumers and developers are likely to be affected by the hike in key policy rates by the Reserve Bank of India as loans would become dearer, though the impact would be marginal. "It (hike in repo and reverse repo rates) will affect lending to the developers to some extent," global realty consultant Knight Frank Chairman Pranay Vakil said. He said the hike, which came into effect on Thursday, will also have impact on customers who have availed home loans. "For the young people, loan repayment period will increase while EMIs will remain same (while) for old people EMI will increase marginally," Vakil said adding demand for real estate too would be impacted 'marginally'. Raheja Developers' managing director Naveen Raheja too said the RBI's move would impact both companies and consumers. "Cost of money will increase for the end user as well as developers," he said. On the other hand, DLF Group executive director Rajiv Talwar said his firm was waiting for the response of the banks on the RBI's credit policy. "We hope banks will not increase the interest rate on home loan so that growth momentum is given a boost," he said. Parklane Property Advisor's MD Akshay Kumar also opined that the increase in key lending and borrowing rates would have marginal impact on the sector. 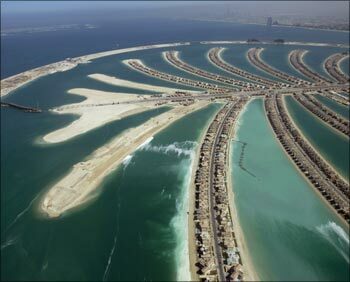 Image: An aerial view of The Palm Island Jumeirah in Dubai.